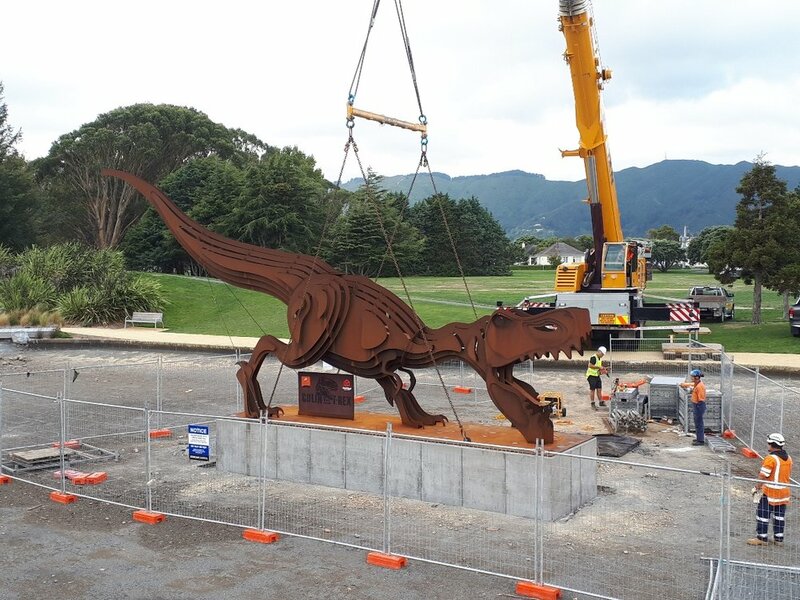 Colin the 100% Swedish Steel T-Rex is now at his permanent new home in the newly-refurbished Avalon Park. What a great spot for everyone to enjoy him for many years to come! Huge thanks to the sponsors that bought him back to allow him to stay in the Hutt: Chris MacKay and E Tu Awakairangi Public Arts Trust.